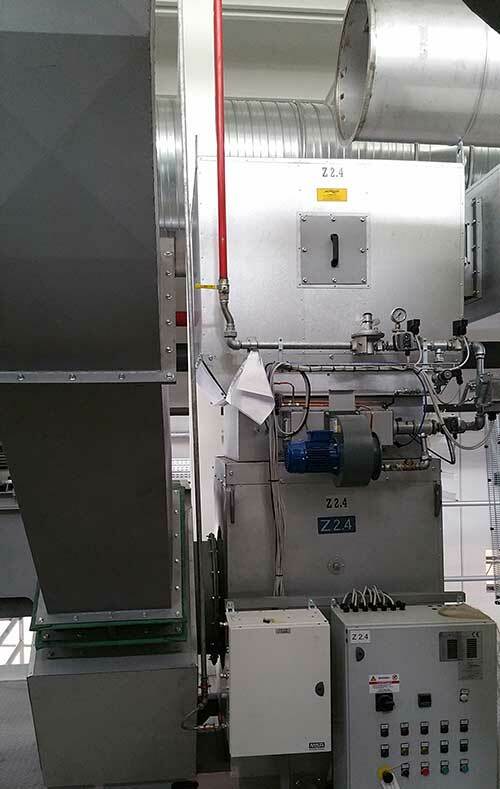 The 23 burners were installed in ovens heating 150.000 Nm3/h at a temperature of 150°C up to 300°C, based on customer’s specifications. SAM Europe selected Fives for its capacity to supply the complete engineering and owned-manufacturing burners and services. The scope of the project includes the engineering, supply, commissioning, start-up and an accurate temperature regulation of the 23-burner system. ITAS Ductflame burners are modular duct burners widely used for co-generation applications to increase temperature after turbine, engine or fumes from furnace. They can operate with low O2 percentage from streaming.